Did you know that many decks finished with other materials have frames built of pressure treated lumber due to its dependability? 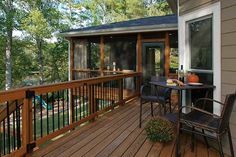 This guide to pressure treated wood decks gives you deck ideas and information you can use to decide if this is the best material for your project. Compare pressure treated lumber to cedar, redwood, IPE, composite and other materials featured in our deck installation guides. We cover the pros & cons of pressure treated lumber, the costs of the material and installation and how to save money on deck construction. 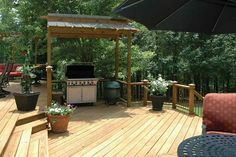 If you’re looking for a deck builder, we can help you find a qualified, pre-screened contractor where you live. 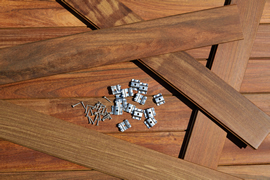 Often referred to as PT lumber by deck builder professionals, it is used in more than 70% of the decks built in the United States. That’s a hefty piece of the deck material pie. Pressure treated lumber is mostly made from pine, with southern yellow pine being a top choice. Chemical preservatives are forced into the wood using vacuum pressure in a closed cylinder. The purpose of the preservative is to ward off rot, fungus and insects that feed on cut timber. If this is the material you choose, these pressure treated wood deck tips will allow you to have the best experience possible. Use lumber graded premium, choice or select to reduce the possibility of warping and cracking. 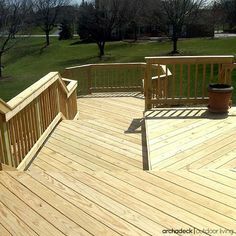 You’ll pay 15% to 30% more for the material, but the deck will look good for a longer period of time. Fastener holes within two inches of board ends should be pre-drilled to prevent splitting. Plan a regular schedule of maintenance for your deck that includes power washing every year or two and applying a stain formulated with a good sealer. Expect to replace your PT lumber deck in 12-15 years, possibly sooner where the weather is very hot and dry. If you dismantle the deck in the future, plan the proper disposal of it with your waste management company. PT wood should not be burned, because burning it will release harmful pollutants. Let’s take a look at pressure treated lumber deck prices for the material, installation and repairs. Boards 2”x4” are typically only used for railings or the planks for very small decks. 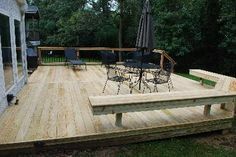 Pressure treated deck costs: The material costs include all the lumber, fasteners, brackets, bolts and other supplies required to complete the deck. 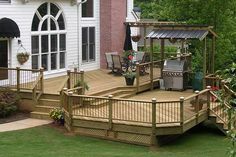 Decks with complex design and stairs cost more to build than those with a simple layout. If your deck requires repair, the cost for materials won’t change significantly from what’s been stated above. However, the labor rate will be higher. Repairs are always more time consuming – and therefore more expensive – than new construction. Lumber manufacturer websites are good places to find deck ideas for design and care. Some producers are regional while others sell PT lumber nationwide. The key to lasting enjoyment of your PT lumber deck is to take good care of it. 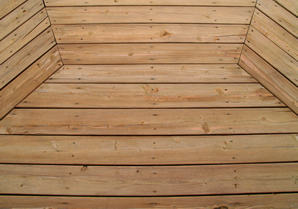 These wood deck care tips will help. Can pressure treated lumber be painted? Most PT wood can be painted, though it’s recommended that the wood be thoroughly dry before painting. In warm, arid environments, it might be dry enough to paint in several weeks after installation; in cooler, damp climates, it is recommended that you wait six months after installation to paint the deck. If you sprinkle a few drops of water on the wood, and it soaks in, then it is dry enough to paint. What is required for paining pressure treated wood? New lumber can be painted as soon as it dries. For older material, power wash the deck first, and allow it to dry. Use a primer formulated for wood decks, and plan to apply two top coats of deck-grade exterior paint. What is KDAT wood, and why is it preferred? The letters stand for Kiln Dried After Treatment. It is an excellent choice because wood that has been dried following pressure treatment is less prone to warping and cracking. Does pressure treated wood contain CCA? CCA is Chromated Copper Arsenate. The arsenate contains arsenic, as the name implies. For decades, CCA was the predominant chemical formula for pressure treating wood. In the early 2000s, the industry discontinued use of CCA, though it is unclear if using it posed any significant risk. In addition to providing you with accurate, comprehensive deck information, we can help you find the right company to install or repair your deck. 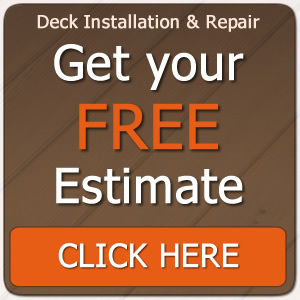 Use our free, convenient service to receive three written estimates from pre-screened deck contractors where you live. There is no cost for the service, and you’re not obligated to accept any of the estimates.